CAMcare Health Corporation is calling on our family and friends from the community to come together for a night of food, drink, dancing and some spooky fun! In line with our new push to improve the patient experience, the night's proceeds will go towards renovations to help outfit our Paulsboro and Clementon Health Centers with newer and better equipment as well as expanding both sites to be able to provide even better quality care. 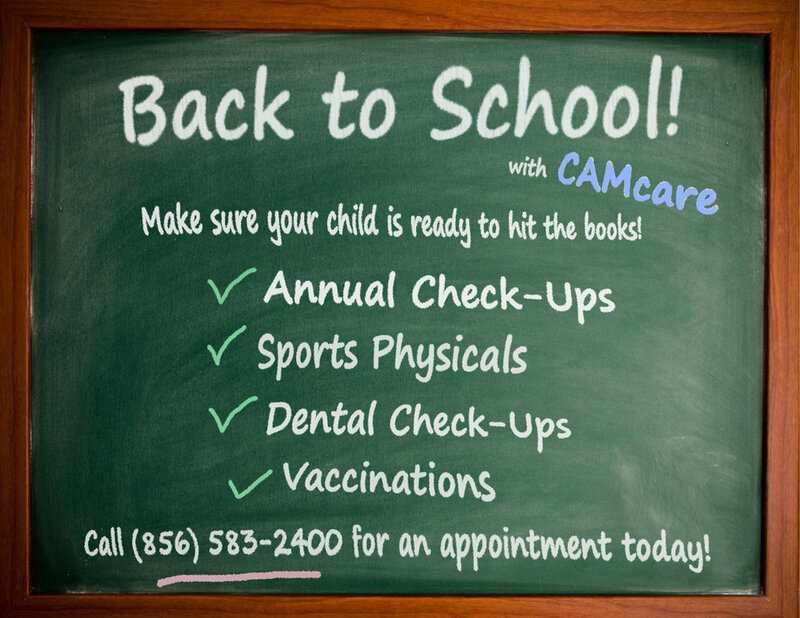 School is just around the corner and CAMcare is here to make sure you child is ready to hit the books. Offering check-ups, physicals, dental check-ups and vaccinations! Give us a call to schedule today! Join CAMcare in a week of celebration of National Health Center Week! CAMcare will be hosting events at every CAMcare site throughout the week and will be proving FREE giveaways, screenings & access to community vendors! Join us for our Grand Re-Opening at CAMcare Paulsboro! Get a chance to meet your doctors and enjoy a day of FREE refreshments, activities and fun! CAMcare Paulsboro will now be offering all Medical services 5 days a week! Coming in May 2017, CAMcare will be expanding Pediatrics services to 5 days a week (Monday - Friday). Starting 04/01/2017, CAMcare will be offering extended Dental Hours on Saturday at Gateway Health Center!